Every year we hear about watching our dog’s weight and what to do to keep them fit and trim. But it can be tricky to do because not every dog has the same metabolism or the same level of energy. Not every home is equipped to provide the perfect plan and ratio of diet and exercise. But, there are some mistakes to avoid when trying to find solutions to keep our dogs from overweight. Of course when we think of losing weight, the first thing that comes to mind is cutting back on food and calories. But don’t cut back too much or too fast. Definitely try feeding less and cutting back on treats but too much can lead to other problems. 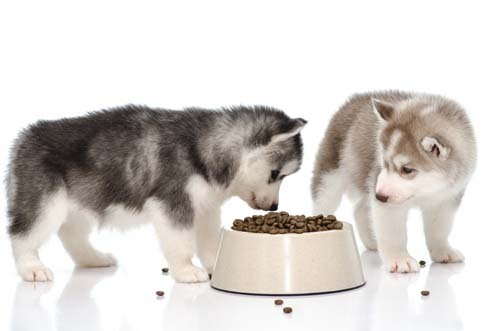 Talk to your vet about how much to feed your dog and ask about the best low-calorie foods. If your dog has a good diet, there usually isn’t a need for supplements. Sure, some fish oil can help but you may not need to give it everyday. Vitamin supplements may not be needed at all if the food contains the recommended amounts. If your dog has some medical needs, your vet can talk to you about what supplements may be beneficial for your pet but a good diet does not often require supplements. There’s been a lot of hype about raw food as the ideal diet for pets. However, there is not definitive proof that this type of diet is superior overall. In fact, there might some health risks due to bacteria contamination that can make the people in your house sick. While this diet often contains little to no preservatives and other additives, make sure the raw food packets have gone under high pressure pasteurization to decrease the risk of bacteria. This isn’t to say that fruits and vegetables aren’t treats for your dog, depending on the type, but cut back on the bad people food like table scraps from dinner. No more pieces of bread, no more last few bites of a hamburger with cheese, and no more begging at the table. Cut up carrots, sweet potato treats, and other good people food will make your pup happy and be low in calories and fat. What other tips do you have? Let us know!